Gleick presented at the 2015 Summit on Water Technology and the California Drought: Leveraging Technology to Build a Drought-Resilient California, hosted by the California state government and Governor Jerry Brown. At the summit, top government officials, water agencies, water technology companies, researchers, and stakeholders discussed new and existing technologies that have the capability to improve California’s drought resiliency. Heather Cooley’s keynote talk at the summit highlighted key opportunities for efficiency improvements and water reuse in California’s cities and towns. Peter Gleick spoke on the ways water technologies can be useful but face challenges during the California drought. Alongside these talks, Pacific Institute staff also participated in a variety of breakout sessions. Find video and other information from the event here. In July, the California Council on Science and Technology (CCST), with assistance from research partners, released a multi-volume, independent study on well stimulation technologies in California — specifically hydraulic fracturing and acid stimulations in the oil and gas industry. As the report was prepared for the California Natural Resources Agency in response to Senate Bill 4, its purpose is to inform policy choices regarding well stimulation in California. The Pacific Institute participated in this research and provided key analyses on these technologies and their impacts on water resources. Much of these analyses can be found in Volume II of the report which discusses how well stimulation could affect water, atmosphere, seismic activity, wildlife and vegetation, and human health. The Pacific Institute reviewed available data and in its section of the report, identified knowledge gaps and advanced alternative practices that could avoid or mitigate these possible impacts. Find the report volumes here. For more information on hydraulic fracturing and water resources, read the Pacific Institute’s 2012 study here. 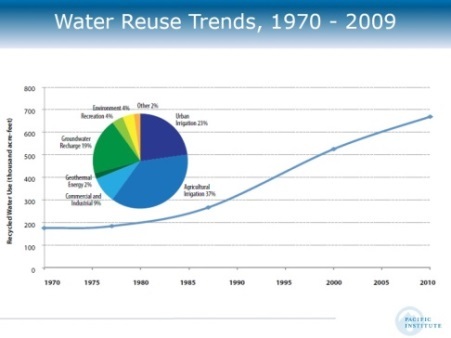 tools in ensuring sustainable water use while meeting utilities’ necessary costs. In June, the California Urban Water Conservation Council (Council) members approved a pilot program to test a new best management practice (BMP) designed to help urban water utilities set water rate structures that promote water-use efficiency. Effective July 2015, the Council’s water utility members can use the point-based matrix to demonstrate their commitment to implementing water conservation programs. The matrix is a new, more flexible approach that allows members to earn points in a variety of areas, such as on their rate structures, communication efforts, and other innovative pricing and billing practices that are known to promote water conservation. Pacific Institute’s Heather Cooley currently serves as the Board Chair of the Council and worked closely with its members – including water utilities and public interest groups – on the technical aspects of the BMP and its policy implementation. Given broad interest in water rates as a key tool for promoting water use efficiency, Heather was asked to present the Council’s matrix to the California State Water Resources Control Board at its July 8th water rate workshop. Learn more about the matrix here. Exceptional drought conditions, along with population growth, environmental degradation, and a changing climate has brought California’s century-old water rights laws into question. 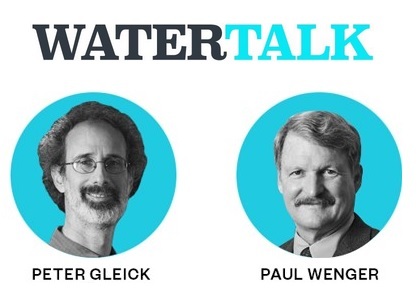 In a candid and lively debate, Peter Gleick and California Farm Bureau Federation President Paul Wenger discussed the impacts of possible changes to California’s water rights laws to the state’s water supply, farmers, and the environment. Peter Gleick argues that water rights must be reallocated to give the environment a legal share, in addition to the need for comprehensive water use data. This ‘Water Talk’ is just one in a series of conversations regarding the Colorado River and water in the West in a multi-part investigation by ProPublica. This online platform provides the opportunity for readers to weigh in on these water challenges. Read the debate and add your comment here. Circle of Blue, an affiliate of the Pacific Institute, is the international network of journalists, scholars, and citizens that connects humanity to the global freshwater crisis. Combined, Native Americans control the rights to one of every five gallons of the Colorado River. With such substantial rights to water, Native American tribes will shape the future of the warming, drying Southwest. 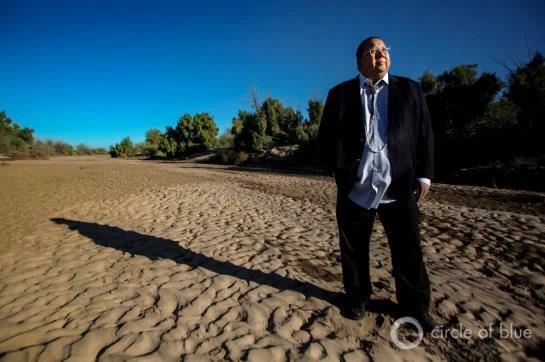 Dealmakers today, the 29 federally recognized tribes nonetheless worry about losing water access as the basin’s population grows and pressure on scarce supplies increases. Circle of Blue explores the role of tribal water rights in one of America’s most important watersheds. And further south and east, in Coahuila, a desperately dry northern Mexico state, energy developers are scouting the potential of a big shale oil and gas field south of the Rio Grande River. But the region’s scarce ground and surface water supplies are so tight it’s not clear there is enough water to frack the new wells. Circle of Blue reports on how water scarcity could deter developing what Mexico believes could be an oil and gas bonanza. 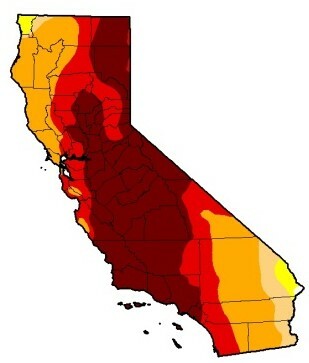 The Pacific Institute Drought Response Team continues to provide biweekly updates on the severe California drought. To learn more, visit www.californiadrought.org. June’s drought updates covered California’s residential water use trends for the month of April, a new bill improving water security for smaller districts where supplies may be dwindling or contaminated, and tiered pricing controversies. Read the latest drought update. *From August 26-28th, Peter Gleick and Heather Cooley will be participating in the 6th Annual One Water Leadership (OWL) Summit hosted by the U.S. Water Alliance in San Francisco. At the summit a variety of stakeholders will address water sustainability issues in a changing climate. Learn more about this event and register here. *In August, the CEO Water Mandate Secretariat will be convening sessions during the Stockholm World Water Week on accelerating corporate action on WASH (Water, Sanitation, and Hygiene) and managing business water risk through collaboration. If you would like more information on the Mandate’s offsite sessions, please contact us. *On October 27th, Peter Gleick will speak at GreenBiz’s VERGE 2015, taking place in San Jose, California. Peter Gleick and California State Water Resources Board’s Felicia Marcus will participate in a point- counterpoint discussion on overcoming California’s drought. In June and July, Pacific Institute staff gave talks at a variety of public events. For example, Peter Gleick gave the opening keynote speech at Facebook’s Sustainability@Scale Conference on challenges and solutions to both global and California water issues. Read the full list and more details here. *ProPublica: Killing the Colorado: Today’s water laws encourage waste. Can big data help shape better ones? Read more news stories here.